After multiple release date changes and some troubling rumours, Netflix finally cleared up any and all confusion about The Cloverfield Paradox tonight. 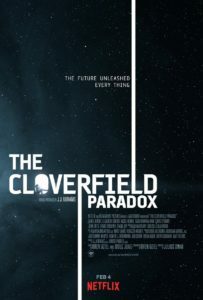 Once called God Particle, once called Cloverfield Station, we finally have the third entry in the loosely connected Cloverfield series. And despite some excitement earlier this evening with Netflix’s bold decision to drop a teaser during the Super Bowl — for a film that would start streaming immediately following the big game — the long awaited film is not all that great. Rather than type up a full review (it is almost 2 AM after all), I figured I would just deliver a few thoughts on the film, and do my very best to avoid some of the more spoilerish elements. A group of astronauts and scientists aboard a massive space station are trying to solve a energy crisis on Earth. But after succeeded with one of their trials, things go very wrong. 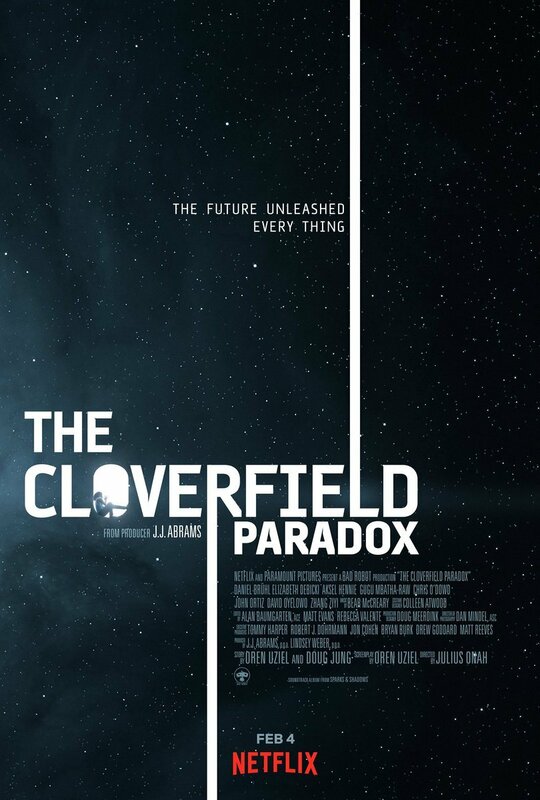 I was genuinely excited earlier tonight to watch The Cloverfield Paradox. But I do not remember the last time I watched a film that was so misguided with zero clue of what to do with it’s plethora of intriguing ideas. Scratch that. I do remember — it was when I saw Alexander Payne’s practically disastrous Downsizing during TIFF last September. That film had a great hook and a decent first hour, before devolving into a mess of ideas with zero idea of its thesis. 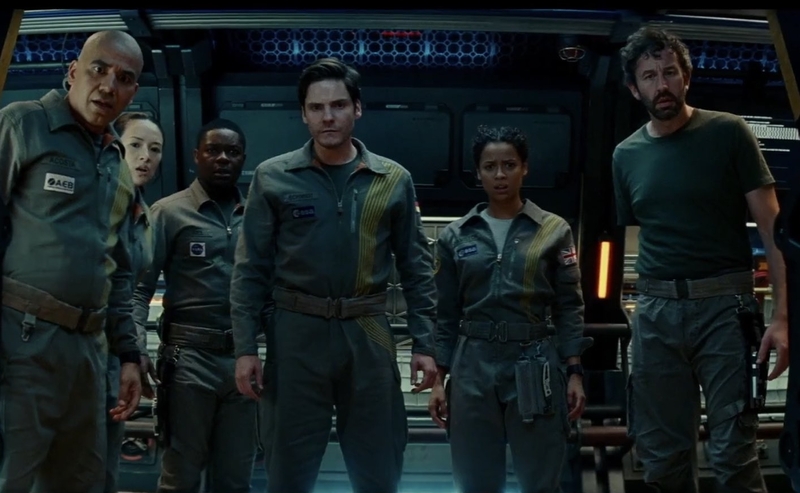 Cloverfield Paradox is basically a brainier Downsizing, dealing with the kind of nonsensical science fiction that was best forgotten in the 1970s and 1980s. Hell, some of the ideas have been tackled more strongly on any given episode of Rick & Morty. There’s a solid stretch of 30 minutes where anything the filmmakers could possibly think of is thrown at the screen (including blatant ripoffs from better sci-fi films actually worth remembering), and you can sense they are praying at least some of it will stick. Sadly, almost none of it does. But they just keep trying and failing monotonously, hoping you won’t notice that only one of the main characters has any form of personality or vague reason for the audience to care if they live or die. What does stick out is the haphazardly tacked on scenes connecting this film to the original Cloverfield. They clearly were added after a first cut, but they add an intriguing element to that notoriously secretive film. They clearly could have put more work into these scenes (especially the goofy ending, which is somehow worse than the betrayal of an ending found in 10 Cloverfield Lane), but I am just happy we got some form of connective tissue to the original film. While it was great to see the inclusive casting, the acting is just about as uneven as the effects. In some cases, it’s pretty good. And in others, it feels unfinished and sloppy. Despite the talent involved on-screen, it feels like no one is truly trying here. Even an obvious third act twist does nothing for the actors, who seem content with the minimal effort they give. I’ve already written more than I thought I would about this disappointment of a film. Let’s just hope Overlord, or whatever Cloverfield-ized interation they add to the title, has a bit more effort put into it.